My experience, probably not that different from other authors, is that the following three questions come up in just about every appearance I make. Question 1: Where do you get your ideas? Question 2: What are you reading? Question 3: What have been your strongest influences? My answer to the first question is that I have no clue. It’s a miracle. My answer to the second is Canada by Richard Ford and Death’s Door by James Benn. Partway done with both, I recommend them highly. The answer to the third question might take a bit longer to spin out. Like so many thriller novelists, I write about ordinary people confronted by extraordinary circumstances. The acknowledged master of that genre isn’t a novelist at all. It’s Alfred Hitchcock, of course, but we’ll save rhapsodizing about North By Northwest, The Thirty-Nine Steps, Shadow of a Doubt, and Rear Window for another time. (Well, maybe I'll need to come back to The Thirty-Nine Steps before the end of this posting. In my latest thriller I’m telling the story of an ordinary man confronted by extraordinary circumstances -- what could be more extraordinary than a Palo Alto businessman given the chance to save a world hurtling toward nuclear war? What makes A Fine and Dangerous Season different from my other books is that it’s not set in the present day, it’s a historical thriller, and I try my best to fit its action in the interstices of history. A Fine and Dangerous Season describes something that might well have happened if only we could have had the right vantage point to watch events unfold. 1. 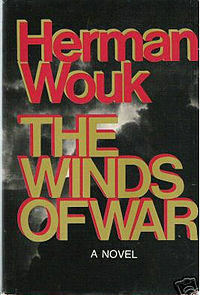 The Winds of War by Herman Wouk. After writing a few chapters of A Fine and Dangerous Season, I picked up this tome to see how a master interweaves history and fiction. Wouk puts a navy captain on the main stage of history. FDR sends Captain Henry to weekend with Goering and negotiate with Stalin. 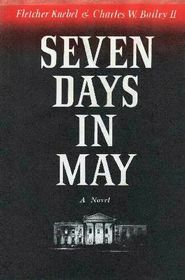 The Winds of War together with its sequel War and Remembrance constitute a big sprawling saga, though, while A Fine and Dangerous Season focuses on a few October days in 1962. Still, my character Nate Michaels accepts a dangerous assignment from President Kennedy as the country hurtles toward war during the Cuban Missile Crisis. Following Wouk’s lead, I did research in archives and primary sources to make sure I got the historical background as right as I could. 3. 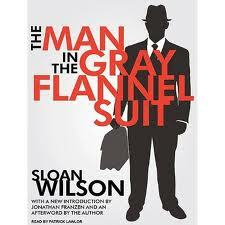 The Man in the Gray Flannel Suit by Sloan Wilson. Unlike the first two books, I did not re-read this one before writing A Fine and Dangerous Season. Nevertheless, I vividly remember the flashbacks that took suburbanite Tom Rath back to his service in World War II. Rath behaved irresponsibly in his personal life because he figured it didn’t matter -- he wasn’t going to survive the War anyway. In A Fine and Dangerous Season, I used flashbacks of Nate Michael’s experience as a B-17 pilot and infused them with that sense of wartime fatalism. 4. The Thirty-Nine Steps by John Buchan. Richard Hannay, just a regular chap who’s stumbled on a deadly diplomatic secret, is chased hither and yon by foreign agents in this 1915 novel. Because A Fine and Dangerous Season is set in D.C., I have Nate skipping across townhouse roofs instead of the Scottish moors. Perhaps influenced by Hitchcock’s 1935 movie version where Hannay is handcuffed to a beautiful woman who makes no appearance in the novel, Nate is accompanied in his leaps between buildings by a beautiful Russian spy. 5. 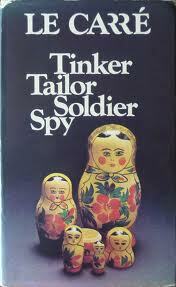 Tinker, Tailor, Soldier, Spy by John Le Carré. This one may be a bit of a stretch, but how could I leave it out? I take inspiration from Le Carré’s theme that the same human emotions and motivations inspire both sides in the Cold War. While writing my book, I remembered how Le Carré writes characters that operate and even love in a hall of mirrors where nothing is as it seems.